India, Over a billion people, several hundred dialects, 29 states, and a cultural diversity that can be bamboozling! Welcome. India had not been on my radar as such, I was happy to sit back and watch documentaries on the country or watch our cricketers try their luck on the sub-continent. This all changed when I was invited by RailPlus to join them in Mumbai on the Deccan Odyssey’s Maharashtra’s Wild Trail. 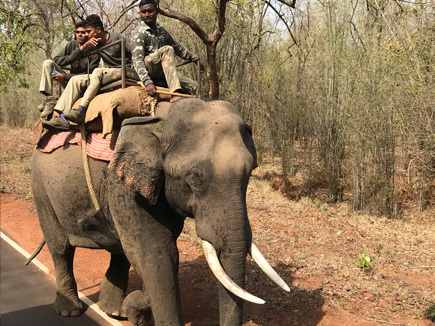 This was to take in the Wildlife Parks of Pench and Tadoba, and the Vineyards of Nashik. An adventure awaited! Flashing through my mind was a sensory overload of crushing humanity, poverty, Indian bureaucracy and the oppressive heat. We set off from Melbourne with Singapore Airlines via Singapore in their brand new A350 aircraft, landing in Mumbai very fresh and excited at what lay ahead. Mumbai (formerly known as Bombay) is India’s financial city, which attracts thousands every day seeking a better life. We settled in to the beautiful Oberoi Mumbai for one night before rising early to set foot into the awakening organised madness as thousands of small businesses began their work. We witnessed fisherman bringing in their catch, fruit and flower markets and hundreds of newspaper vendors frantically at work. All of this ceasing well before many have woken and had breakfast. It was quite a scene, especially the fish market! Following breakfast, we took in further sites of Mumbai including the Mumbai Fort before heading to the Chhatrapati Shivaji Terminus to board the Deccan Odyssey. After a traditional Indian welcome, we settled into the luxurious cabins, which would be home for the next 7 nights. 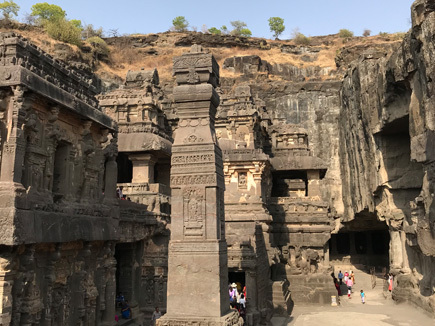 Our first stop was Aurangabad, of which we set off the train to the Ellora Caves, arguably the finest example of cave-temple architecture in India. There are 34 rock-cut shrines representing Buddhist, Jain, and Hindu art. A very impressive site, that needs to be seen to be believed of how these were made. An engineering marvel. 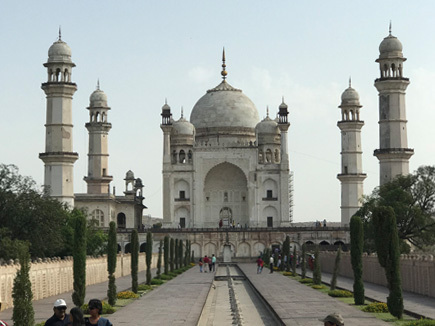 The next day we remained in Aurangabad and enjoyed a guided visit to the Bibi-ka-Maqbara, the Taj of the Deccan, built to rival the brilliance of the Taj Mahal but fell short! Still a remarkable building. After we board back onto the train, we set off to Ramtek, of which we disembark to head into Pench National Park. With the chance of seeing tigers, the excitement levels lifted immensely! Along with this chance, we managed to see an abundance of other wildlife such as Malabar pied hornbills, Indian Pitta birds, ospreys and grey-headed fishing eagles. Today was not the day though, as no tigers were spotted. Still a day to remember. After further travel on board we arrived into Tadoba, of which we headed for another game drive into the Tadoba Tiger reserve. With expectations still high, we kept our eyes peeled. With expert guides, we managed to spot wild dogs, a sloth bear, Indian Bison and also various species of deer. The highlight though, was the observance of a mother tiger leading her two young cubs to a watering hole. Here we observed the two cubs play in the watering hole, whilst mum lay by keeping a good eye on them. This was truly a great thing to watch in the wild. Back on board the train, we reflected on what was a great day whilst enjoying sumptuous Indian cuisine. With the Deccan continuing to roll through the Indian countryside, we saw forever changing scenery, from farming, forests and townships. A bustling country hard at work. We rolled into Jalgaon, where we disembarked and set off to the UNESCO World Heritage site of the Ajanta caves. 30 rock-hewn Buddhist Caves, re-discovered in 1819 by a British calvary office out on a tiger hunt. The caves had laid undisturbed for over a 1000 years. These caves are adorned with sculptures and paintings of Buddhist and Hindu faith. A truly amazing site tucked away in the hills of Jalgaon. Continuing on we stop at Nashik, which is rapidly gaining popularity as the wine capital of the country. We have an organised tour through the streets of Nashik, witnessing Hindu rituals and also the lively market. Selling catfish, cow dung cakes, and a large range of cricket bats! After 6 days on the Deccan Odyssey, we arrive back into Mumbai with lifetime memories. One memory resonating, was that we only saw a handful of westerners on the whole journey. 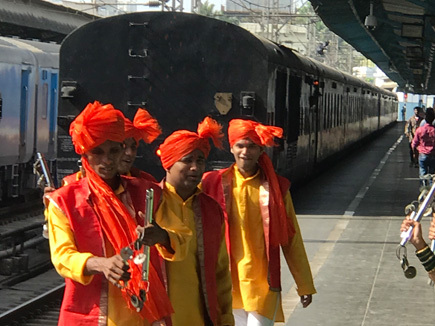 Finishing up in Mumbai, we disembarked and finished with a visit to the Churchgate Station, where Dabbawalas are working. These are the 5000 odd men who collect about 200,000 Dabbas (Home cooked lunch boxes) and deliver them to offices throughout Mumbai. This is a perfect example of organised chaos in India! If you want to create a travel story yourself, whether it is to India or anywhere else. Come see the team at Travel and Cruise Centre or build an itinerary here.